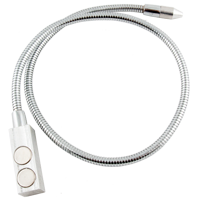 Teflon K-type thermocouple for BGA station - 0.08mm is used in many soldering BGA stations (eg. IR6000 / HR6000 / IR6500) and measuring devices (eg. multimeter, etc.). Offered here model has got additionally teflon insulation so thermocouple got full flexibility in the upper and lower temperature range. 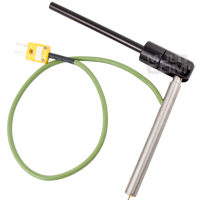 Teflon K-type thermocouple for BGA station - 0.127mm is used in many soldering BGA stations (eg. IR6000 / HR6000 / IR6500) and measuring devices (eg. multimeter, etc.). Offered here model has got additionally teflon insulation so thermocouple got full flexibility in the upper and lower temperature range. 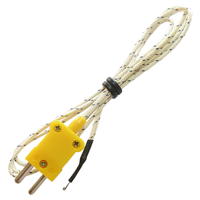 Teflon K-type thermocouple for BGA station - 0.25mm is used in many soldering BGA stations (eg. IR6000 / HR6000 / IR6500) and measuring devices (eg. multimeter, etc.). Offered here model has got additionally teflon insulation so thermocouple got full flexibility in the upper and lower temperature range. 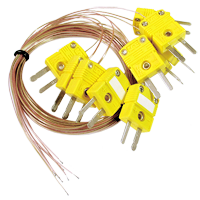 Universal temperature sensor - thermocouple type K is used in many measuring devices, ie. multimeters, soldering stations or BGA. The sensor can be used in each multimeter with socket (+/-).